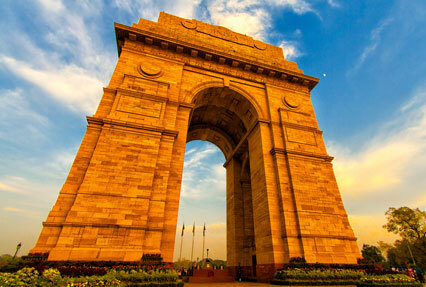 Opt for pilgrimage tour with north India, a tour package of 13 nights and 14 days that will offer you a chance to explore not only the well-known destinations of the northern part of the country, but will also let you visit the popular religious sites. During the tour, you will visit places like Delhi, Agra, Jaipur, Varanasi, Bhubaneshwar, Puri and Kolkata. The highlight of the tour will be visits to Taj Majal, Konark temple and a boat ride in river Ganga. Once you arrive in Delhi, you will get an assisted transfer to your hotel. After a quick check-in, relax in your room. The remainder of the day can be spent at leisure. Overnight in the hotel. Day 2, after breakfast is for visiting the attractions of Delhi that will include India Gate, Red Fort, Humayun’s tomb, Jama Masjid, Qutub Minar, Chandni Chowk and more. These structures are perfect examples of architectural brilliance. Stay overnight in the hotel. Today, after having breakfast, you will leave for Jaipur by road. On arrival, you will check-in at your pre-booked hotel. Have lunch and leave for visiting the well-known attractions like the Hawa Mahal (Palace of Winds), the City Palace and the Royal Observatory. The evening is booked for exploring the local bazaars where you can shop for souvenirs. Stay overnight. Enjoy an early morning visit to the Amer fort, where you are going to enjoy a joy ride on an elephant’s back. You will explore the popular palace buildings such as Sheesh Mahal, Sila Devi temple etc. The afternoon is free at leisure; you can do the activities of your interest. Overnight stay in Jaipur. Have your breakfast, and set-off by road for Agra. En-route you are going to visit Fatehpur Sikri, the city once the capital of Mughal Emperor Akbar which is now in ruins. The evening is booked for a visit to the Taj Mahal that looks even more beautiful during sunset. This beautiful white-colored mausoleum was constructed by Mughal emperor Shah Jehan in the memory of his beloved wife Mumtaz Mahal. Overnight in Agra. 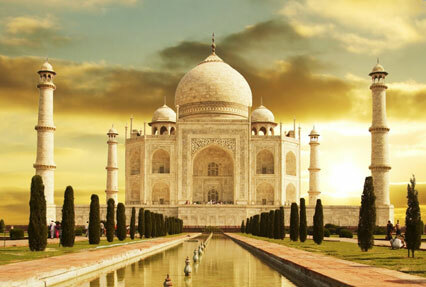 Today, you are going to enjoy sightseeing in Agra. The first visit of the day will be Sikandra-the tomb of Akbar that is a beautiful architectural masterpiece. The other will be Agra Fort, a UNESCO World Heritage Site whose construction got completed in 1573. Also visit the shops of local craftsmen doing marble inlay work. At night, you will catch an overnight train to Varanasi from the Agra railway station. Morning arrival in Varanasi. Get transferred to your hotel. 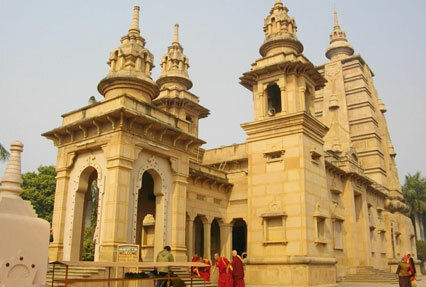 Once you freshen-up, you will leave for an excursion to Sarnath, one of the most important Buddhist religious site. It is a deer park where Gautam Buddha taught Dharma for the very first time. Back to Varanasi for an overnight stay. Day 8 is for an early morning boat ride in the holy water of river Ganges. The rest of the day is free for the activities of your interest. 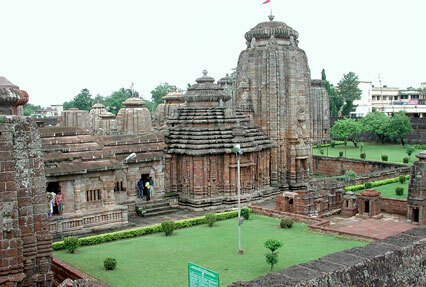 In the evening, get transferred to the railway station for boarding an overnight train to go to Bhubaneshwar. You will arrive in Bhubaneshwar in the morning. On arrival, you will get transferred to your pre-booked hotel. Relax for sometime. After lunch, leave for sightseeing where you will cover Lingaraj Temple, Rajrani Temple, Dhaula Giri, Parashurameshvara, Vital Deul Temple and Mukteshwara Temple. Stay overnight. Have your breakfast and leave for Puri by road. On the way, you will take a halt at the Konark Sun temple. Also known as Black Pagoda, this temple was constructed in the 13th century. This well-known temple is a World Heritage Site. Proceed to Puri. On arrival, check into your hotel for an overnight stay. Start the 11th day of your tour with an early morning Darshan at the Jagannath Temple. 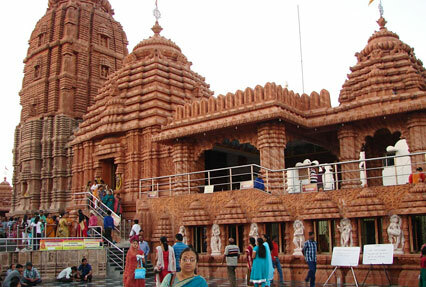 One of the Char Dhams, this temple dedicated to Lord Jagannath was constructed in the 11th century. The afternoon is free for leisure activities. If you want then you can indulge in fun activities at the beach. Stay Overnight. After breakfast, the morning is at leisure. If you want then you can shop at the market for handicrafts. In the evening, you will get an assisted transfer to the railway station to board an overnight train for Kolkata. In the morning, you will arrive at Kolkata. Get transferred to your pre-booked hotel. Spend the day in visiting the popular attractions such as Howrah bridge, Victoria Memorial, Daksineshwar Kali temple etc. Stay overnight. Today is the last day of your tour, when you will get transferred to the airport or to the railway station to board a flight or a train for your onward Journey.